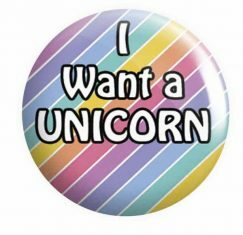 What’s with the Unicorn Craze? 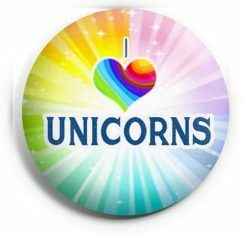 Humans have been fascinated with Unicorns for over 3000 Years and this past year aboard the Pirate Boat we couldn’t make enough of them. 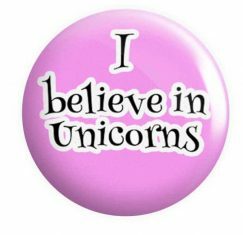 Forget everything else because 2018 was all about the Unicorns and the more colourful, pink, glittery and magical they were the better! 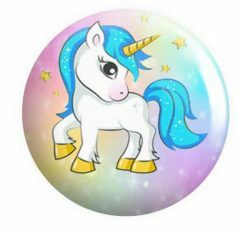 We have seen retailers selling Unicorn Milkshakes, Unicorn Shoes, Unicorn Jewellery, a huge array of Unicorn Gifts and it didn’t stop there…. 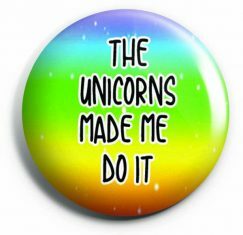 people were having their nails done in a Unicorn style (Rainbows and glitter) Unicorn Tattoos etc The world has gone Unicorn mad and we had to join in with our own badges. 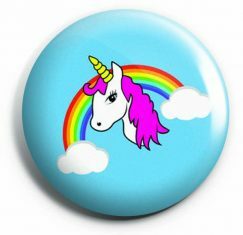 We have had lots of custom orders for Unicorn badges for children’s parties, So we decided to design our own which are easy to personalise which we sell from the boat and website. As with all our badges, they can be made in various sizes. 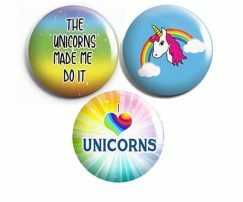 Our Unicorn Badges are also available as a Badge Bundle which are packaged together and make great gifts – They are also cheaper than purchasing the badges separately. Who are the Crew aboard The Pirate Boat?